If you're in need of emergency cash but your options are limited by a poor credit score, a title loan or a payday loan could both be options worth considering. These short-term loans are easy to obtain, even if you suffer from bad credit, and you could be approved for either in as little as 30 minutes at a store location near you. Title loans and payday loans have certain things in common, including the fast financial relief they provide and by how easy they are to obtain. But there are also some notable differences between these two loan types. Title loans, for example, typically offer higher cash amounts than payday loans, but require the title of a vehicle you own as collateral for approval. Payday loans, on the other hand, don't require anything except a valid ID, proof of income and a blank check from your active checking account. When money is short and you need some extra cash to make it through a tough financial spot, either of these short-term loans could be a viable option. They could provide financial relief quickly, with very few hassles. Both title loans and payday loans could help you cover a last-minute expense or contend with a financial emergency you didn't see coming. Whatever your dilemma is, these two convenient short-term loan options offer fast cash in as little as 30 minutes. With title loans, same-day cash amounts are available up to $15,000, regardless of your credit. The loan is secured by your vehicle title, and the amount you could qualify for is dictated by your vehicle's value and condition. Your lender will hold your vehicle title until the loan is repaid, although you are able to keep and drive your car the entire time you are making the payments on your title loan. 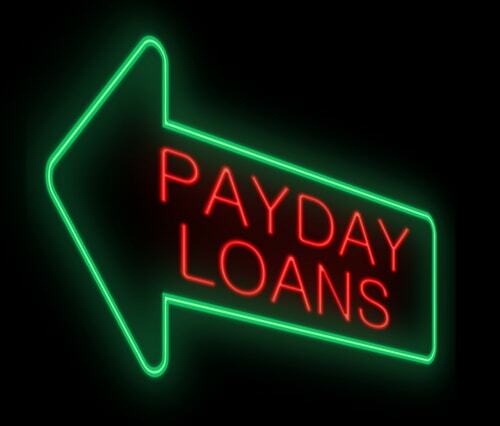 A payday loan is also type of short-term loan that could put up to $255 in your pocket in as little as 30 minutes. Unlike title loans, payday loans don't require a vehicle title or other collateral to secure. In order to qualify for payday loan cash, you would need to provide your driver's license or state-issued photo ID, a bank statement from an active checking account in your name, and simple proof of your ability to repay the payday loan. A payday loan basically gives you the ability to draw on the funds from your next paycheck to handle expenses that can't wait. Take the time to assess your situation and determine the approximate amount of cash you will need to get your finances back on track. Anything up to $255 would be easy to cover with a payday loan, and you simply repay the balance on your next payday. For larger expenditures or cash emergencies, a title loan could put anywhere from $2,501 to $15,000 in your hands in as little as 30 minutes. 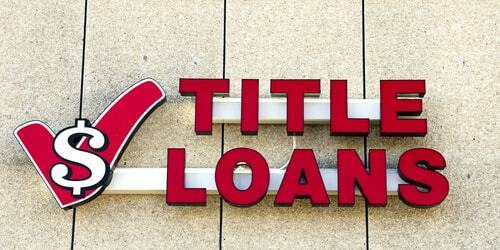 A title loan also offers longer repayment options than a payday loan. One of the easiest ways to determine the best option for your individual situation is to ask for help from your local lender. They'll be happy to answer any questions you have and help you choose the lending option that is right for you. Get started on the approval process today by filling out an online request form so a representative can call you back to help you prepare for your visit to their store. They can go over both loan types with you and personally help you decide which one is best for you and your individual needs.